Economical, genuine oil colors clean up with soap and water. 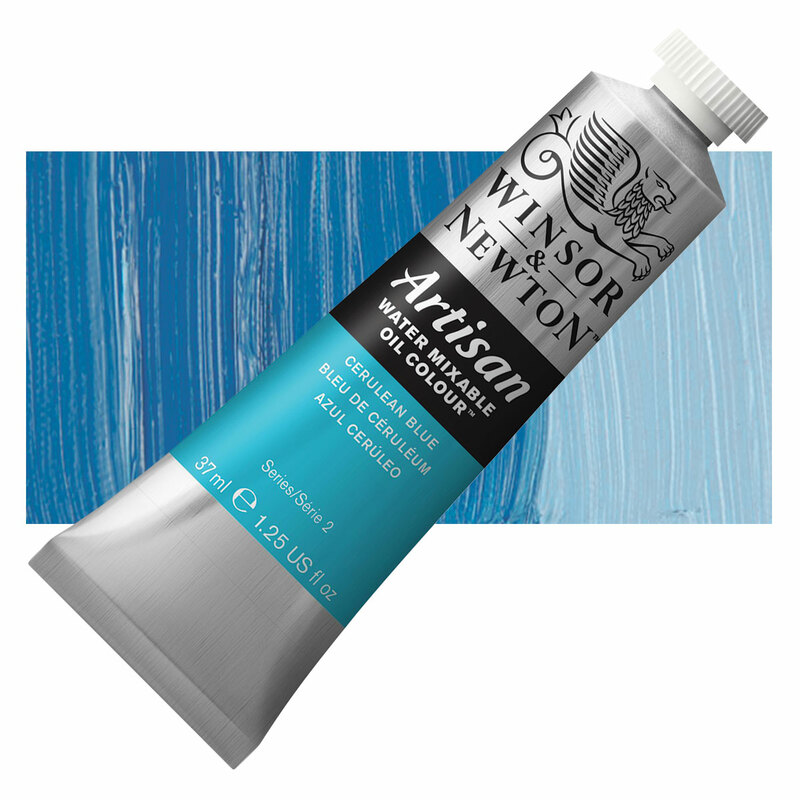 Use with 5 non-hazardous mediums allows all the traditional oil painting techniques and styles. Tubes and sets. Cerulean Blue is the standard cool blue, considered the traditional counterpart to Ultramarine, and is often used for painting atmospheric shades. It is quick drying and retains its color well, better than any other blue, in oil paint form. However, it tends to granulate or become chalky in watercolors. It has limited hiding power, is semi-opaque, and is easy to control. Its tinting capacity is low, so it can become lost when mixing. Cerulean Blue has excellent permanence. It is very stable and lightfast. Cerulean Blue is moderately toxic if inhaled or ingested and slightly toxic if it comes into contact with skin. The name Cerulean Blue comes from the Latin word caelum , meaning sky . This pigment was discovered in 1805 by Andreas Hopfner, but it was not widely available until introduced by Messrs. G. Rowney & Co. in England under the name coeruleum in 1860 for use in aquarelle and oil painting. It was produced by the action of heat on cobalt oxide and other metallic bases. Bleu Celeste, Caeruleum, Coelin, Coeruleum. 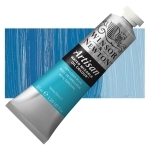 ™ Winsor & Newton is a trademark.™ Artisan is a trademark.